Home » Videos » He Sees Something Strange Swimming Toward His Kayak, But When He Lifts It Up? Unbelievable! 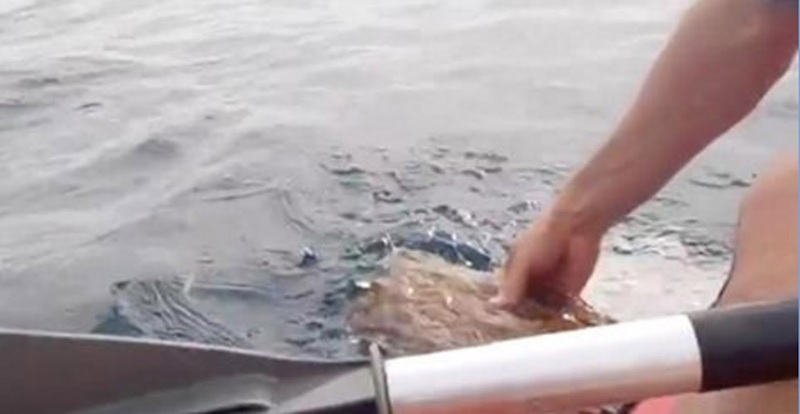 He Sees Something Strange Swimming Toward His Kayak, But When He Lifts It Up? Unbelievable! Being out on the open waters can be both exhilarating and terrifying all at once, especially when you’re only on a kayak! So when this pair of kayaker saw something strange swimming up towards them they couldn’t help but stop. As it got closer and they got a clearer view of what it was, they pulled it out of the water.